'Hot 'N Nasty' was a joint collaberation between Lowdown Hot Rods and Gary Irving Racing. Gary was a well known Pro Mod racer who previously campaigned a '41 Willys and a '52 Chevy. 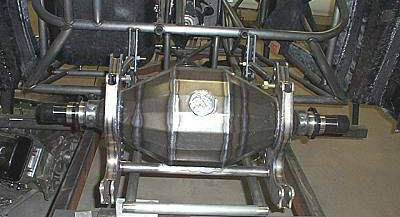 We built the chassis and Gary provided the Fontana Chevy motovation! The car was campaigned in the Super Chevy Nitro Coupe class in the U.S.